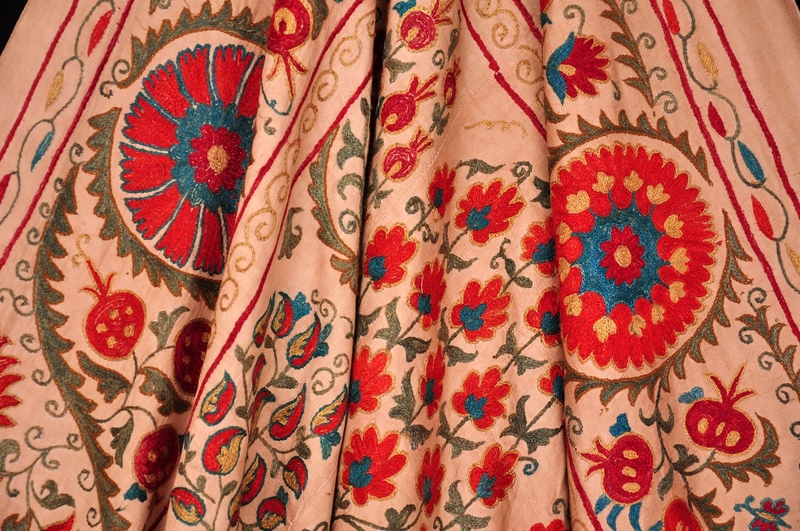 Hand-stitched design and floral embroideries are nice touches to your vintage style interior. 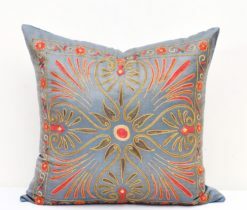 You can create a decorative frame around your current interior that can give you the vintage look you desire. 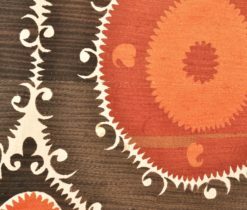 The wall decor you choose for your vintage looking living room can really pull the entire look together. 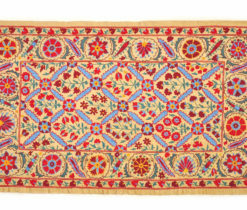 Embroidery a hot right now and could be perfect addition your home needs. 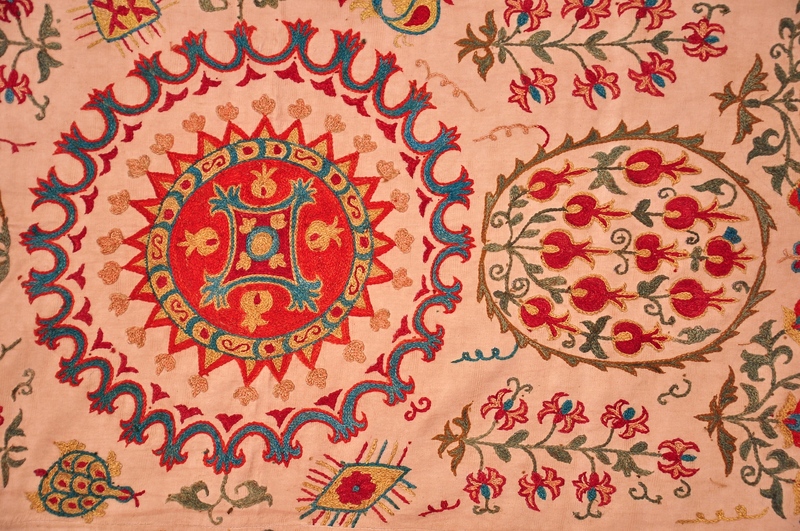 Suzani Embroidery signs are always a great staple in your vintage style room. 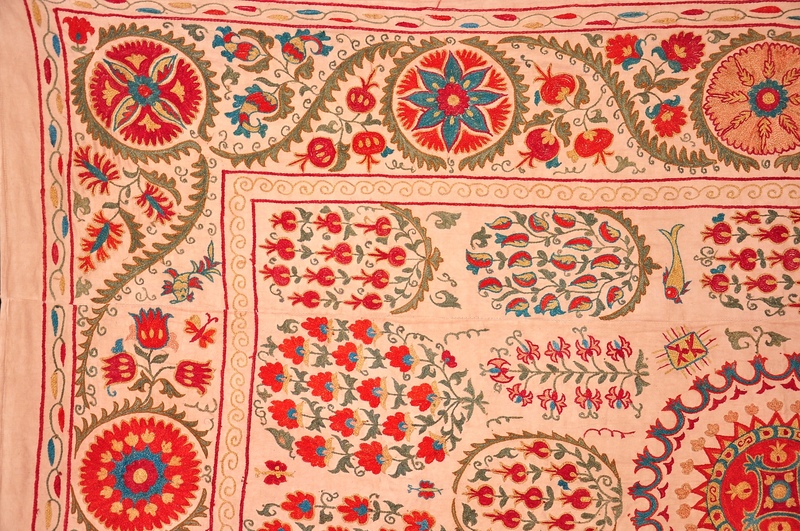 This suzani makes a very particular impression. 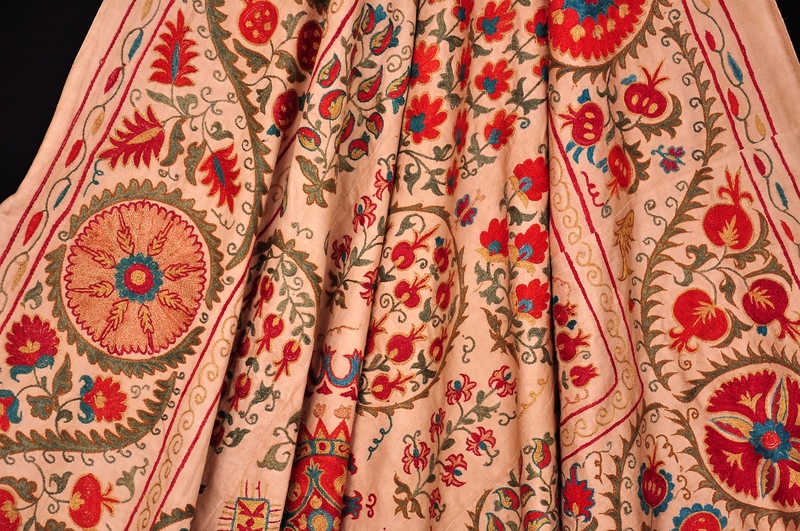 Especially, thick, homemade silk and largeness of ornaments make it special. 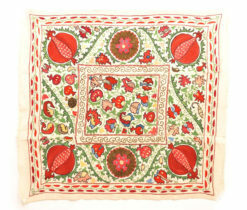 Our suzanis are genuine folk art, stitched by hand in the traditional manner. 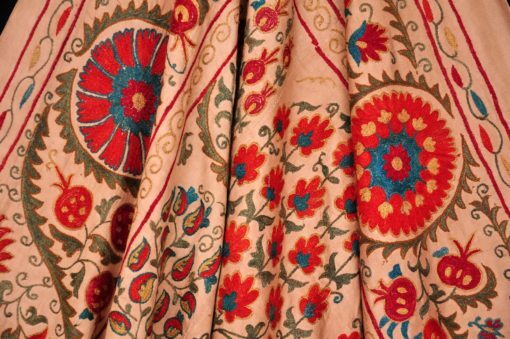 Once used as coverlets for the bridal bed, these gorgeous textiles can bring color and texture to any environment. 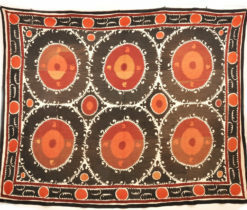 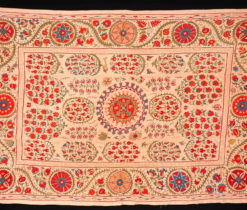 Suzani makes delightful wall hangings, bedspreads, furniture throws, pillows, or even tablecloths. 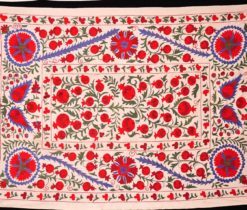 Beyond any doubts, suzani type embroideries are excellent works of ornamental art with their genesis going back to the family life. 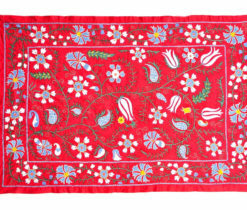 They sprang up and developed as household accents. 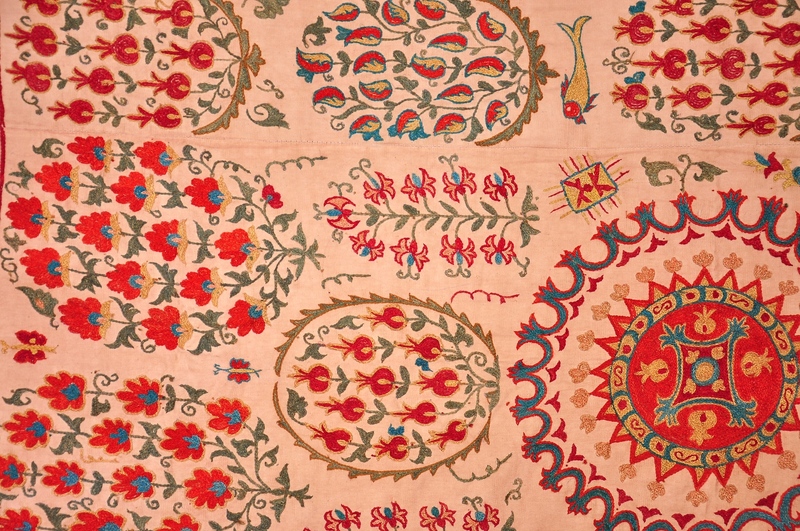 The term Suzani means “needlework”–specifically, the exquisite cotton thread embroidery panels. 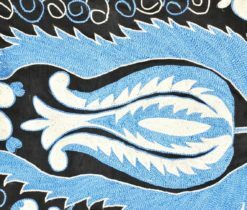 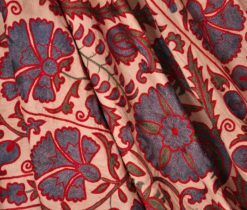 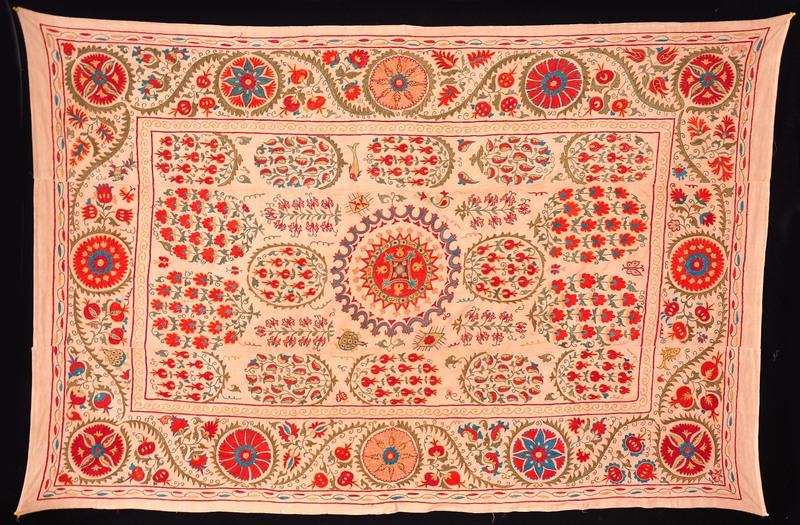 Traditionally this embroidery work began at the birth of a daughter and continued, with the help of family and friends, until the bride’s dowry was complete. 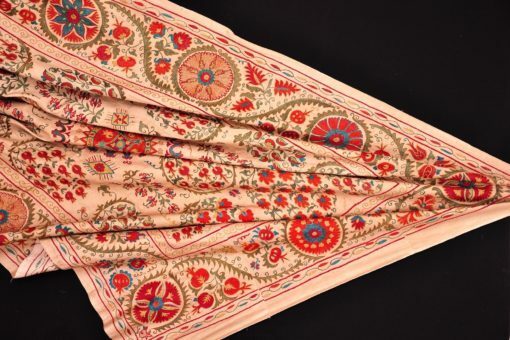 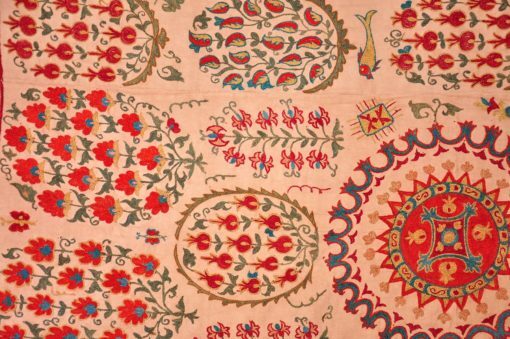 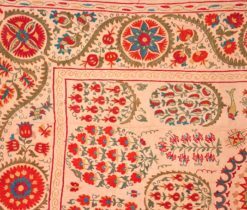 Suzani embroideries relating to the first, early period were white, red and yellow cloths. A white cloth suzani was usually made of a local handicraft cotton fabric. 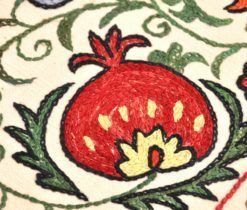 Handicraft specialists dyed it before starting embroidering fabric. 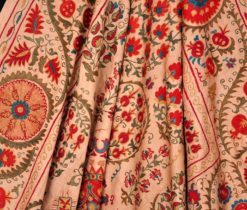 Then, it was called “shushta” literally washed is from “shushtan” and to wash is from folk’s “shushtan”. 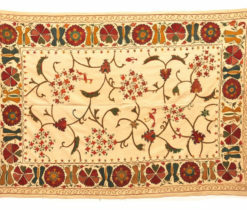 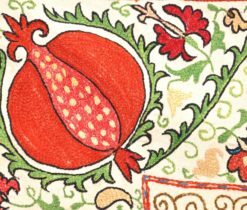 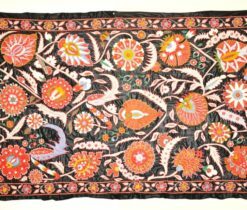 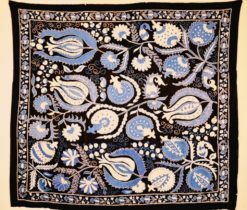 Of other branches of embroidery art in several Central Asian regions with the Tajik and Uzbek population, there were large decorative embroideries, panels making. 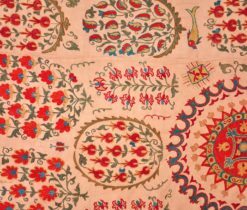 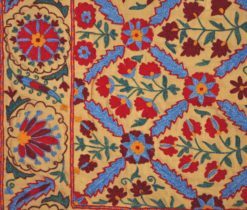 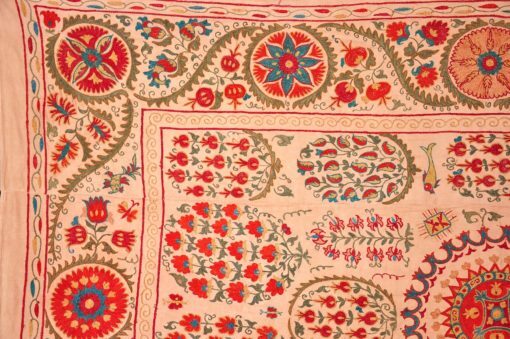 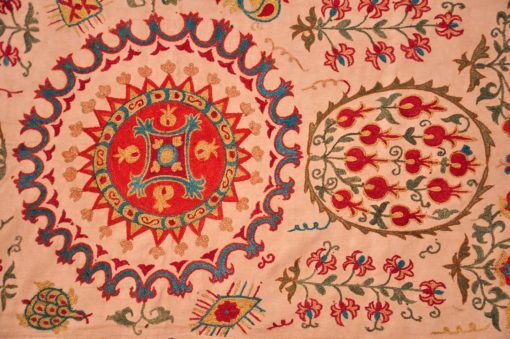 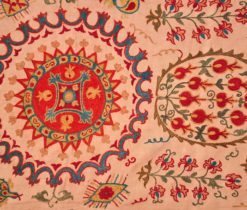 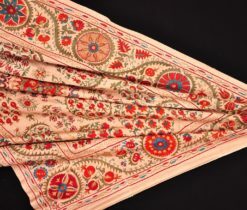 Given that the term of suzani ( needlework, as “Suzan” is the Tadjik for the needle in Samarkand was popular to designate just one kind of embroideries. 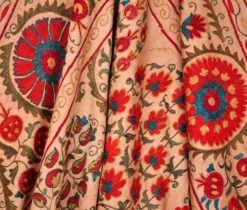 We deliver all orders by Uzbekistan Registered Post which takes minimum 10-21 business days to reach anywhere in the world. 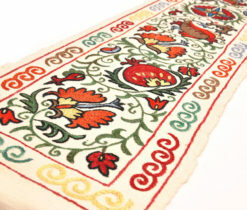 In case, you are looking for the delivery any sooner, please ask for a priority shipping at an extra cost. 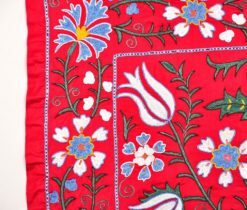 Processing time is 1-3 business days, not including weekends or holidays.